The Barracuda CloudGen WAF provides proven application security and data loss prevention for your applications on AWS. The Barracuda CloudGen WAF has achieved AWS Security competency certification and is available via metered usage-based billing. 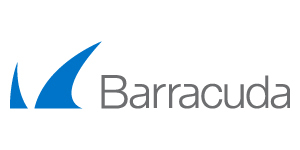 A leader in cloud security and an AWS Preferred Security Competency Partner, businesses trust Barracuda's Cloud Generation Firewalls to secure their applications in the cloud. With dynamic profiling and application-aware technologies to minimize false positives, Barracuda CloudGen WAF protects against today's advanced, persistent and zero-day threats. Trusted by the world's most security-conscious businesses, including financial institutions, government agencies and trading platforms, the Barracuda CloudGen WAF inspects all bi-directional web traffic, and guards against data loss by inspecting the HTTP responses from the back-end servers. Support for CloudFormation templates enables admins and devops engineers to automatically bootstrap and cluster additional instances as needed, for higher throughput and easy deployment. Built-in access controls enable administrators to create granular policies for Authentication, Authorization & Accounting (AAA). The integrated Barracuda Vulnerability Remediation Service removes much of the administrative overhead associated with firewall maintenance by enabling automatic configuration of security policies. How secure are your web applications? Run a free scan: https://bvm.barracuda.com. Support for AWS metered billing enables true consumption-based pricing, so customers only pay for what they use, aggregating usage at the end of the month. Out of the box configurations and rule sets drives rapid deployment for complex requirements. Automated vulnerability scanning and remediation simplifies ongoing maintenance and accelerates development cycles for DevOps environments.